equipped kitchens in each apartment. large garden with pool view siena. Farmhouse on a 110 hectare organic estate in the Sienese hills where we produce our bio. The estate also has another Podere, Le Casacce farmhouse, with our store, where you can buy all our products. and where there isour Pasta factory for the production of fresh and dry organic pasta. Own certified organic production. You can request to visit it with your family and see how we work ON DEMAND: On request tasting / buffet with our organic products from the estate. Other tour, Private boat tour, with private boat, at 5 Terre, Golfo dei Poeti, Unesco heritage, with local sailor: Boat tour, only 2 hours driving from the villa and a whole day, a tour just for you! Very nice host; very responsive. My husband and I, along with 3 adult children had a wonderful time at this beautiful property near Sienna. The villa was amazing: spacious, comfortable, and well appointed with plenty of space for cooking, sleeping and relaxing indoors and outside. The hosts were welcoming and helpful without being intrusive in any way. Federica prepared a buffet of fruit, vegetables, salad, meat, pasta and dessert for our group that was way beyond on expectations. She used pasta produced from their farm and it was superb. I recommend this property without reservation. 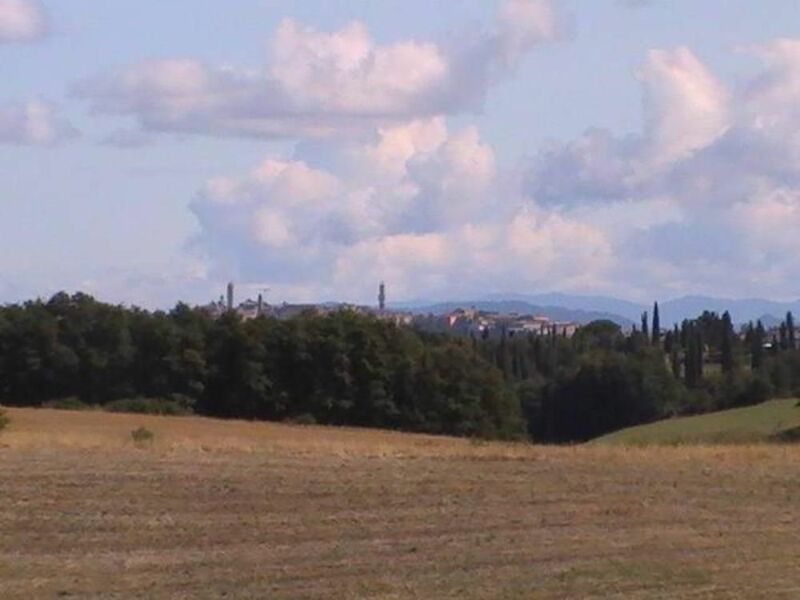 My family work hard, in this organic farm, with a great passion to improve every day more, to give our guests the real sensation that our villa is their home... away... in Siena. Many thanks to our guests that feel all this. "A perfect house for a quiet week in the Tuscan countryside. We had a relaxing stay in this big house, with a view to Siena. The owners lives next door, but were really discreet. All though ready to answer any questions we had! The house had all the appliances we needed. This is an old house built in the 1890s, with all modern needs met, a real Tuscan villa." Organic Italy All The Way! Federica and Family were wonderful hosts. My family had a truly organic experience on this farm. We had the opportunity to watch pasta being made and learn about the farm. We indulged in a 4 course meal prepared by the Federica and her husband over three hours. It was the highlight of our trip. And the pool was a huge bonus for the kids! You were so lovely and you are really wonderfull guests, we hope to meet you again in one of our organic farms. Nous avons passé une semaine exceptionnelle chez frederica. 2 familles avec enfants en bas âge, nous avons pu profiter de cette grande maison très bien équipée, du jardin avec une vue incroyable sur la campagne Toscane et sienne, de la grande piscine, et, cerise sur le gâteau de la grande gentillesse de notre hôte. Grazie mille !